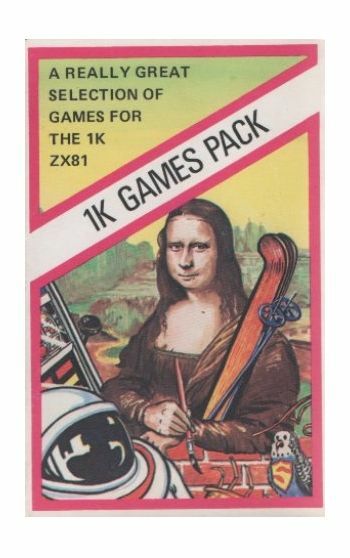 Home/Computers/Sinclair Spectrum/Sinclair Games/ZX80/81 Games/1K Games Pack. * Slot Machine. * Art (Etch A Sketch) * Slalom. * Catch Me If You Can. * Space Pirate. * Spacefire 1. * Spacefire 2. * Car Crash. * Man Eating Budgies. * Maze. * The Wall. Instructions on inlay card. 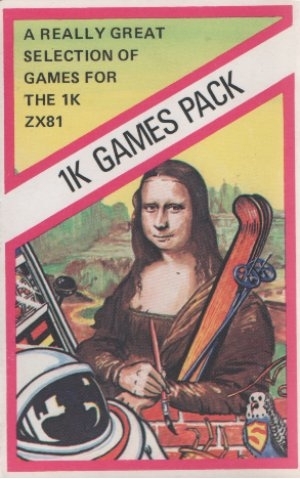 Operates on 1K Zx81. PLEASE NOTE:P+P IS UK ONLY. FOR OVERSEAS POSTAGE PLEASE EMAIL BEFORE PURCHASING.